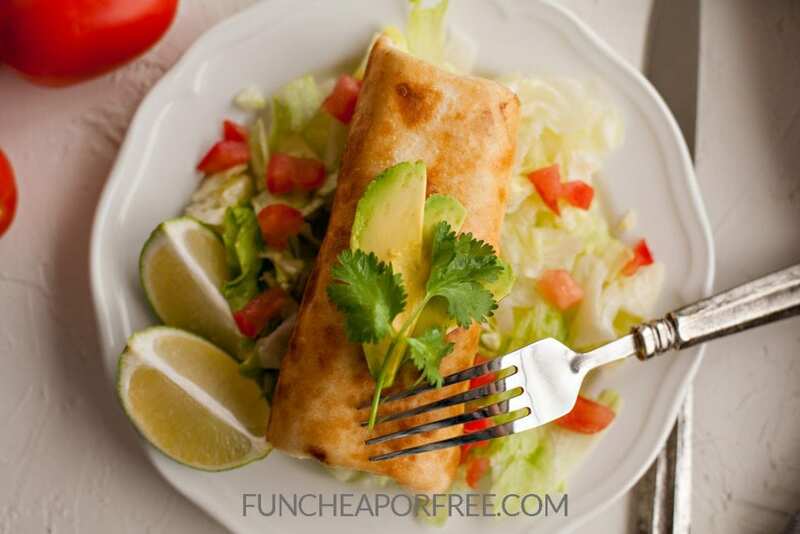 Use up your leftover chicken, pork, or beef in these amazingly delicious Chimichangas! Fried in oil, or baked in the oven, they are easy to make and bursting with flavor! Raise your hand if your favorite Mexican food is the chimichanga. Raise your hand if you just like saying “chimichanga.” 🙂 A chimichanga is basically a burrito that has been fried. But you don't need a deep-fat fryer. In fact, I don't recommend you try to deep-fat fry these. Things are so much easier if you just fry them with a little oil in a pan! Want to oven-bake them instead? No worries! I'll tell you how to do that, too, and still get a crispy coating. Chimichangas are super versatile. You can make them with chicken, pork, or beef. Any type of shredded meat will do. Chimichangas are actually the perfect thing to make with leftover meat so if you are in the middle of a spending freeze or participating in #Shelftember you are in luck! You won't be sacrificing flavor for frugality. For tender, flavorful pork, I love to use leftovers from my Easy Pork Roast. For shredded beef, you can use leftovers from these French Dip Sandwiches. This Crock Pot Salsa Chicken would be PERFECT to make chimichangas! There are TONS of recipes for meat you can use. Just pick your favorite. I also like to add leftover rice and/or beans to my chimichangas, along with shredded cheese. 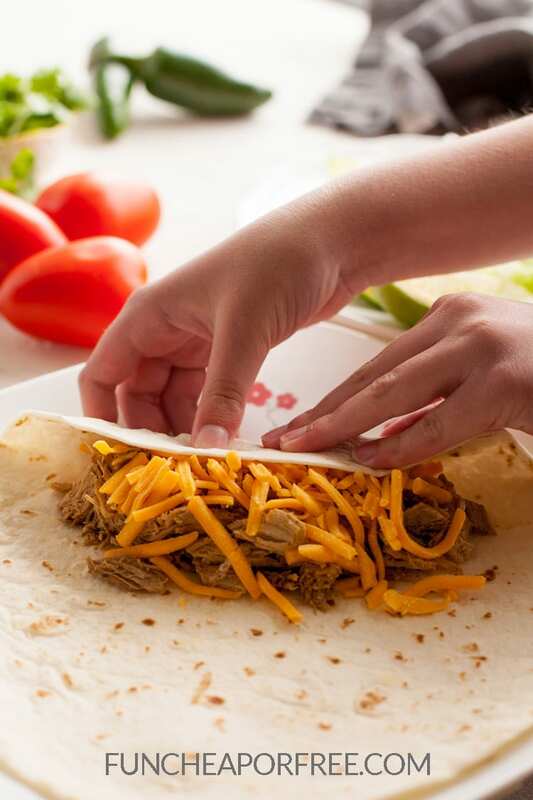 Now you just need to lay out a large flour tortilla and place your shredded meat (along with any other fillings, like beans, rice, or cheese) close to one side of the tortilla. Make sure to leave a little room on both sides. Now fold the end up over the top of the filling. Next, fold both sides in over the top. Hold them there while you roll the whole chimichanga over. Keep rolling the chimichanga, folding the sides in as necessary. Finish with the seam side down. Now it's time to fry the chimichangas. In a frying pan on the stove, pour about half an inch of vegetable oil. Heat over medium until the oil is hot. You will know it's ready to fry when you toss in a bread crumb and it sizzles and turns golden brown. If it browns or burns quickly, your oil is too hot and you'll need to turn it down a little and wait for it to cool. Otherwise, your chimichanga will get too brown on the outside, and not heated in the middle. Using tongs, gently place one chimichanga at a time, seam-side down into the hot oil. You may need to keep the tongs in place, or gently press down on top of the chimichanga to keep it from unrolling in the oil. If desired, you can place another chimichanga in the oil. Don't try to fry more than two at a time, or the temperature of the oil will lower too much. When the bottom has become golden brown, rotate the chimichanga to fry another side. 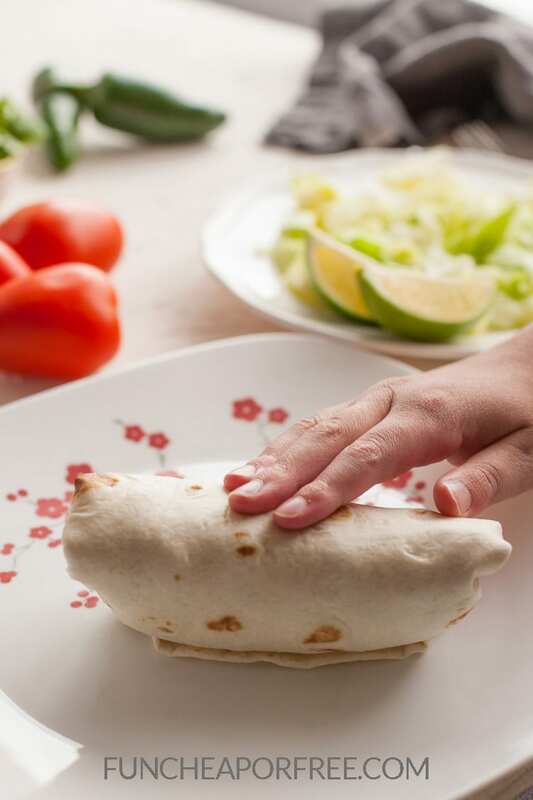 You may need to use the tongs to hold it together if the seam starts separating from the chimichanga. Continue rotating until all the sides have been fried and are golden and crispy. Remove from the oil and place on a plate to cool slightly before serving. If you don't want to fry the chimichangas, you can bake them in the oven! Simply place them seam-side down on a baking sheet, brush with vegetable oil, and bake at 425 degrees F. for 20 minutes or until golden brown. (I like to cover my baking sheet with aluminum foil for easy cleanup). After the chimichangas have cooled, you can freeze them! Just place in an airtight plastic bag and place in the freezer. 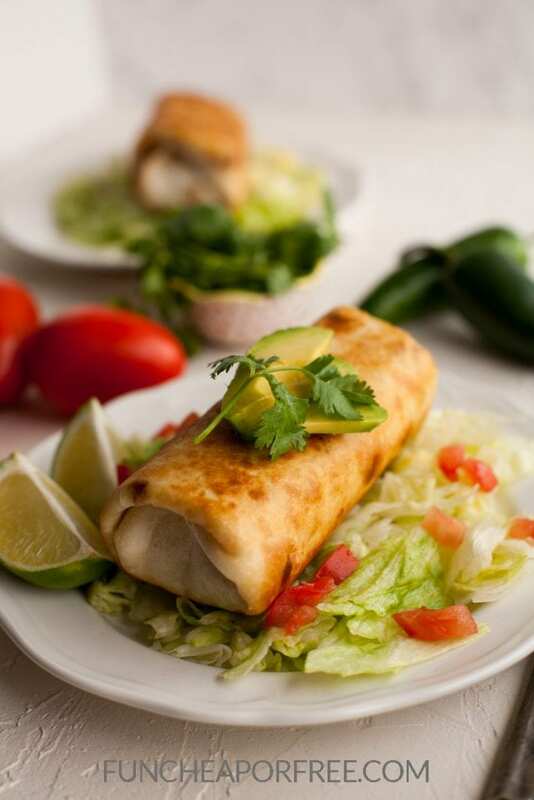 If the chimichanga has been stored in the refrigerator, reheat in the microwave for 30 seconds. If it is frozen, reheat in the microwave for one minute. Then place in a 350-degree F. oven for about ten minutes, until the outer covering is crispy again. (I love using my toaster oven because it heats up really quickly). These times are just estimates. Be sure to watch and take your chimichanga out of the oven when your desired level of golden crispiness has been achieved. 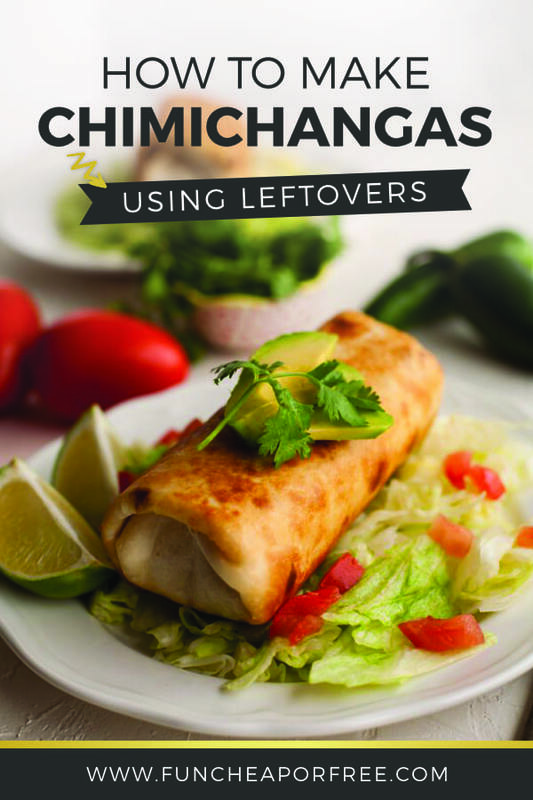 Quick and easy Chimichangas made with your leftover meat! 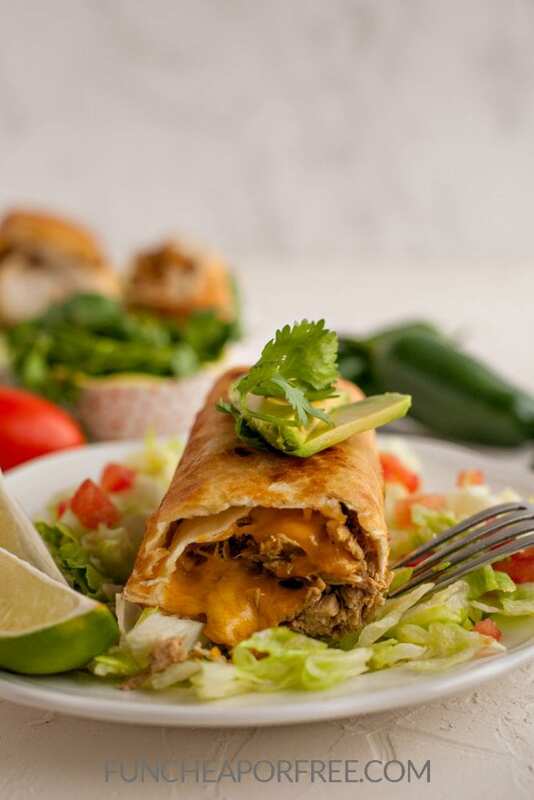 Use Chicken, pork, or beef to fill your Chimichanga, then fry or bake them up for a nice crispy tortilla. They are so flavorful and different every time depending on what meat you choose to use! Warm up your shredded mean in a frying pan, add a cup of chicken or beef broth is your meat is a little dry. Meat should be warm and moist. 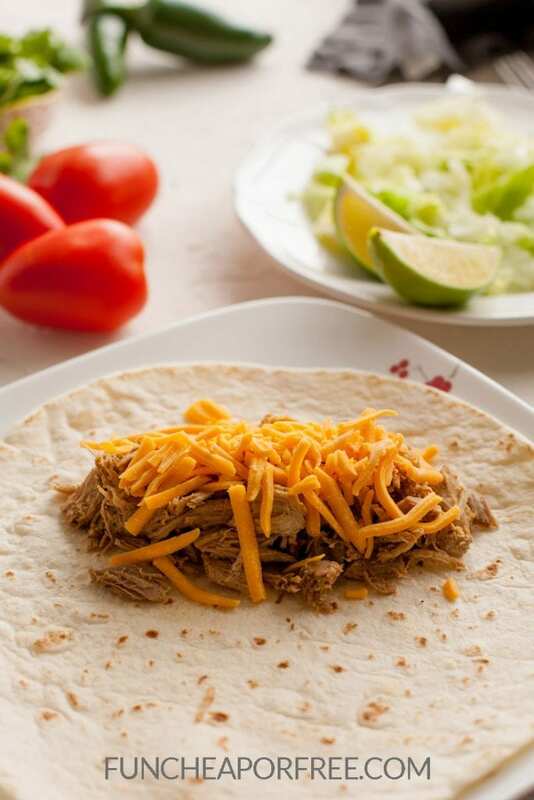 Grab a tortilla, place it on a hard flat surface and add about 1/4 cup of shredded meat to on side of the tortilla. Add cheese and other desired fillings including rice or beans if you would like. Fold one end of the tortilla over the top of the filling, the fold the sides over the top. 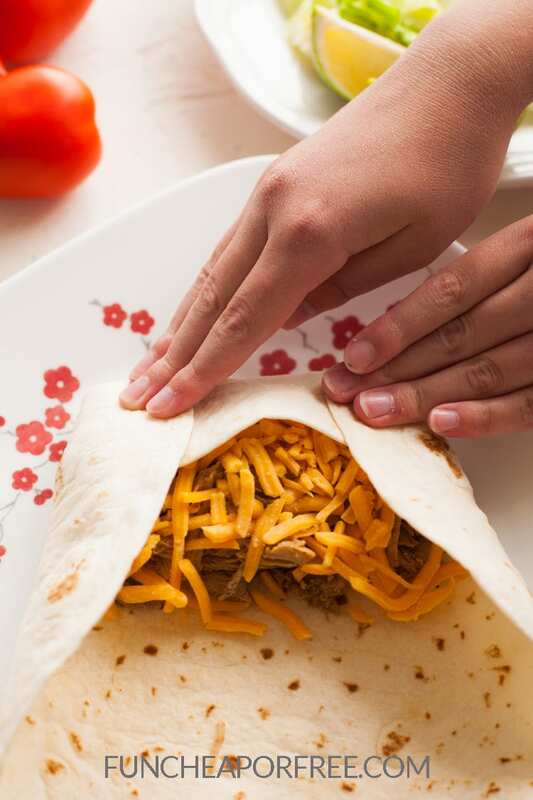 Continue folding until the chimichanga is secure and no fillings can escape. Heat a 1/2 inch of vegetable oil in the frying pan over medium heat. Watch it close to be sure that it doesn't get too hot. Fry your chimichanga until golden on all sides! Remove from heat and let rest. 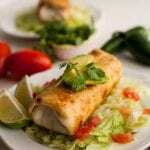 Serve with sour cream, salsa, guacamole, lettuce, tomatoes, and any other toppings you would like! I love my chimichangas with guacamole and the best salsa ever. So remember, the next time you make meat in the crockpot, be sure to save some so you can make these easy, super delicious chimichangas! What are your favorite go-to recipes to use up leftovers? Hi, I'm Melissa! 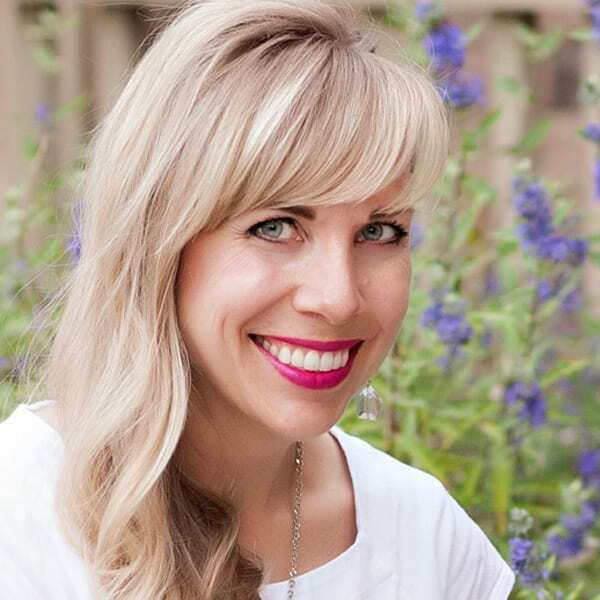 I help women like you create a beautiful life and home through the magic of cooking, the thrill of home organization, and the joy of discovering your personal style. Join me today on my site Beautiful Life and Home for your free gifts! Smiles and hugs, every day! March: Focus on Fitness Month – FREE printable calendar, weekly challenges and more! April: Focus on Organization Month – FREE printable calendar, weekly challenges and more! i just made these from my kitchen took me less then 10 minutes i couldn’t resist the urge to start eating one from a foil wrapper and it was delicious all i could think of is how i am so grateful as to have seen this post and hoe my leftovers became a great meal again thanks so much!!! Yay! I’m so glad you found this post helpful! It’s amazing how you can repurpose leftovers for brand new exciting meals.